Perfect for Girl Scout Troops, School Volunteer Groups, and more! We’d love to have your group visit us and help out all the animals at the shelter! Create Your Own Program lets you choose what activities fit your group’s needs the best—all while helping care for our animals! It works kind of like a “create your own adventure” book-just pick the things you’d like to do, and your very own “adventure guide” will guide you through the activities on the day of your program. 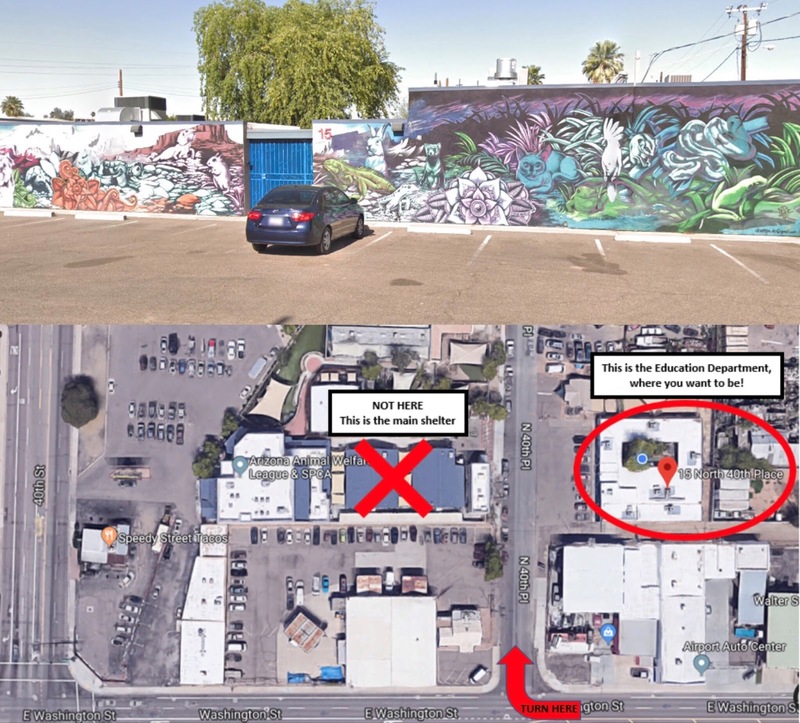 All activities take place at our Education Center at 15 N 40th Place Phoenix, AZ 85034. Our facility and staff can only accommodate groups of a certain size. If you have a group larger than the requirements allow, please split into 2 groups and secure 2 different time slots with our education team. Program fee of $120 covers up to 10 child participants; $12 per additional child up to the maximum allotted below. Chaperones up to ratio are free; additional chaperones are $12 per person. Spots fill up quickly, so please contact us at least 2 weeks in advance to schedule this program! Please note: At all times, Parents/guardians/adults in attendance are solely responsible for the supervision of all children in attendance. If children become unruly, excessively loud or disrespectful, we will politely ask parents to step in. While rare in occurrence, we may end our tour or program at any time if we feel that either the animals or children are at risk. 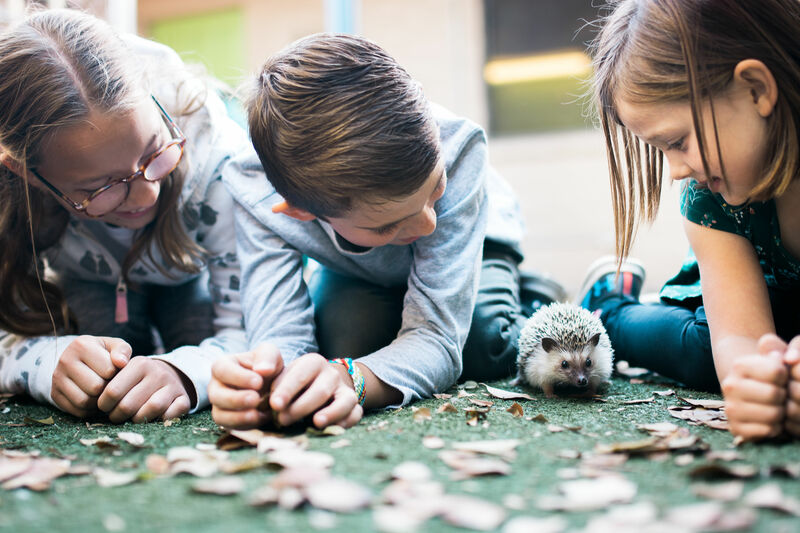 Behind-the-scenes tour: take your own private tour of our kennels, cattery, and our exotic ambassadors while finding out all about the work that the Arizona Animal Welfare League does for the animals in our care and in the community. Read to dogs: help our pups relax and unwind by reading them a story! Bring your own book or choose one of ours. Read to our Education Ambassadors (rabbits, chinchillas, ferrets, etc): socialize and comfort our education mammals while reading your favorite book or one of ours! Girl/Boy Scout badge activities (Please specify the badge you would like to do activities from): choose activities you still need to accomplish for your badge or sample a few different requirements. Be sure to let us know which badge you’re working towards! Keeper Care with our Education Ambassadors (cleaning cages, feeding, etc): with over 50 exotic animals in the Education Department, constant care is key! Help out by cleaning, feeding, and/or socializing the mammals and reptiles. Animal interactions with our exotic animals: Get an up close meet-and-greet with some of our exotics. Choose from snakes, lizards, ferrets, rabbits, and more! Play in yard with a dog: Help one of our pups get some exercise in a yard! Playing with toys or even just some snuggles, your kids and our canine friends are sure to have a great time! How do you meet a dog? Learn from our experts all about how to properly meet a dog… and practice with our shelter pups! Special topics: Is there something else you want to do or have us talk about? Get in contact with our team at 602-273-6852 x122 and we’d be happy to try to accommodate you!